Will the Housing and Planning Act really achieve its stated aim of increasing the amount of house building in England? In the short term, the answer is probably not. Chris Coxon, head of Marketing at Eurocell, elaborates. 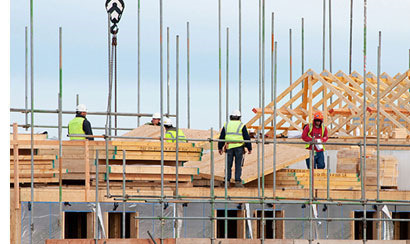 The Government hopes that the Housing and Planning Act, which received Royal Assent on May 13th, will boost housebuilding, with a goal of 1 million homes to be built by 2020. And there’s another aim too: in the words of a Government press release, the Bill “marks the start of a national crusade to transform generation rent into generation buy”. Opponents of the Act, which includes some architects and social landlords, see it as a potential death knoll for community housing. There’s doubt over whether ‘generation rent’ will genuinely benefit, and a feeling that the main benefactors may be developers and investors. Before its publication, the House of Lords fought to make a number of amendments to the Bill as proposed. However, with the recently introduced English Votes for English Laws (EVEL) rules that say only English MPs can vote on legislation pertaining to England only, the Government has been able to sweep past the proposed changes. Perhaps the most contentious issue is that of Starter Homes. These are to be sold at a 20% to the market rate with a cap of £450,000 in London and £250,000 outside it. The fear is that this will not lead to more homes, just more homes for better-off buyers. Housing Associations are concerned that house builders will choose to prefer starter homes over their social housing allocation. Developers can get a better return on investment from selling starter homes rather than selling a proportion of a development to a housing association. Then there is the issue of owners selling starter homes on and making a nice 20 percent-plus profit. The Government’s original proposals is to allow re-sale after five years: the House of Lords has suggested that this is not a long enough period, proposing up to 20 years. The Act itself does not set out the timescale saying only that starter homes are ‘subject to any restrictions on sales or letting specified in regulations made by the Secretary of State’. These regulations will be revealed in follow-on legislation to the bill, but experts think it unlikely that the Government will extend that five-year period by many more years. Another possible problem with starter homes is that they will not be affordable to the vast majority of people who need them. A recent survey by the Town and Country Planning Association (TCPA) and the Association for Public Sector Excellence (APSE) confirmed this: over 80% of local councils said that starter homes would not be affordable. The other headline-grabbing issue is Right to Buy. Clearly aligned with the Government’s stated aim to turn renters to owners, Right to Buy does create some potential barriers to housebuilding as part of major regeneration schemes. Housebuilders have pointed out that the Government’s recently vaunted plans for wholesale regeneration of rundown estates will be made more complex and expensive than anticipated because up to one in three homes are privately owned thanks to previous right to buy schemes. Proposed changes to the planning system have been met more positively. Modifications to Local Planning and Neighbourhood Planning could speed up the planning process, although these effects will take a while to feed through to homes on the ground. Likewise, measures including the introduction of a local register of land, to include potential brownfield housing sites, and giving authorities the power to grant permission in principle could ease the way for some new housing developments. However, in conclusion, there is concern that moves to stimulate house building in one area may possibly just impair housebuilding in another.